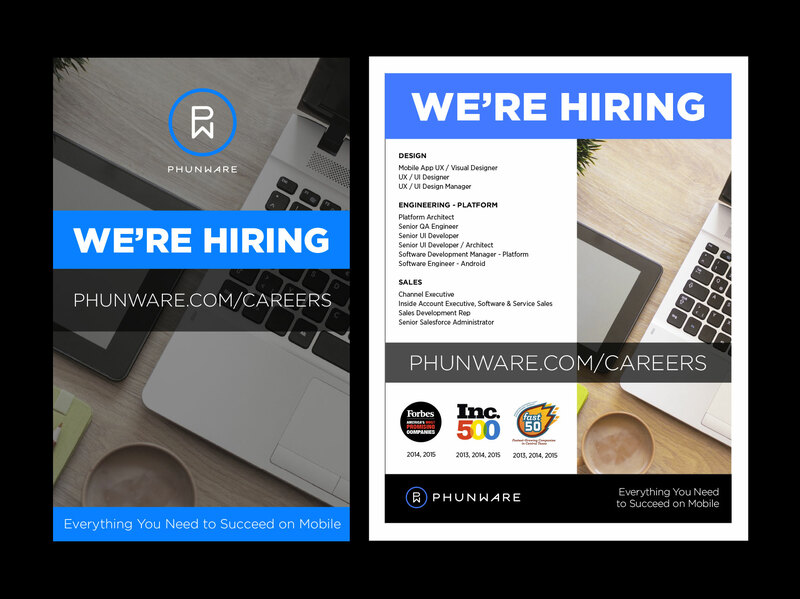 Flyer and table-top sign created for potential Phunware job applicants at job fair. Table-top sign created with bold imagery with minimal text to catch booth visitors’ interests. Handout flyer designed with open positions and company awards. Relevant website URL is prominent on both items. Original design with stock photography and Phunware branded type and logos.